The 2018 Annual Meeting of the Japan Society of Civil Engineers (JSCE) was held from August 29 to 31 at Sapporo Campus of Hokkaido University. 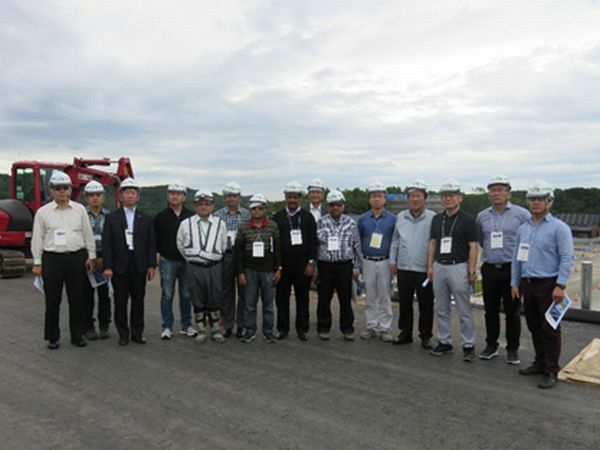 On the 29th and 30th, the International Activities Center held International Panel Discussion, the 20th International Summer Symposium, Int’l Workshop for Young Civil Engineers, Networking Reception, and a technical tour. 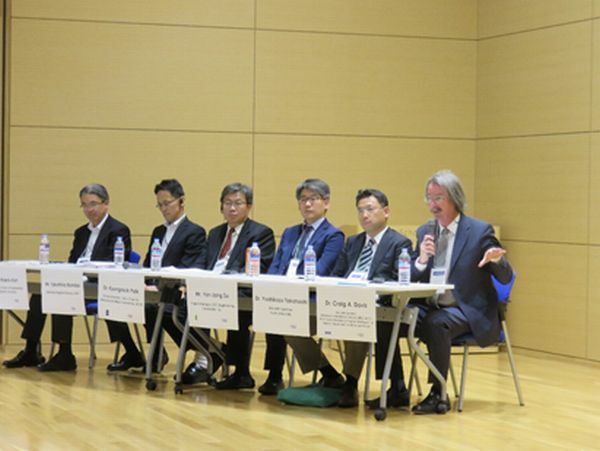 Kiyoshi Kobayashi, President of JSCE, gave the opening address at the international panel discussion, Comparison of Infrastructure Maintenance and Resilience among Asian and Western Countries. Masamitsu Onishi, Associate Professor at the Disaster Prevention Research Institute, Kyoto University, moderated the presentation and discussion by professionals of each country. Dr. Craig A. Davis of the American Society of Civil Engineers (ASCE) gave a keynote lecture on infrastructure resilience. Then, the Chinese Institute of Civil and Hydraulic Engineering (CICHE), the Korean Society of Civil Engineers (KSCE), and Japan presented examples of their projects. The Hokkaido Regional Development Bureau of the Ministry of Land, Infrastructure, Transport and Tourism presented projects in Japan. Using videos to report on the damage caused by torrential rain in 2016, they explained the structure of cooperation among construction-related companies and the reconstruction work using advanced technologies such as ICT and drones to accelerate the work. The number of participants including the audience was 66. 80 papers were submitted to the 20th International Summer Symposium. The participants engaged in a lively exchange of views. 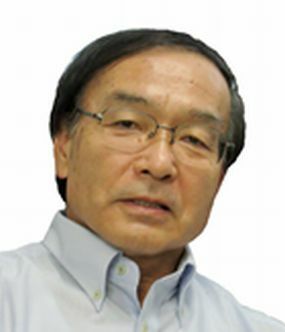 Yoshihiro Okumura, Associate Professor at Kansai University, moderated the Int’l Workshop for Young Civil Engineers on the theme of When a Mega Disaster Strikes... - How would you respond if you were a mayor? -. 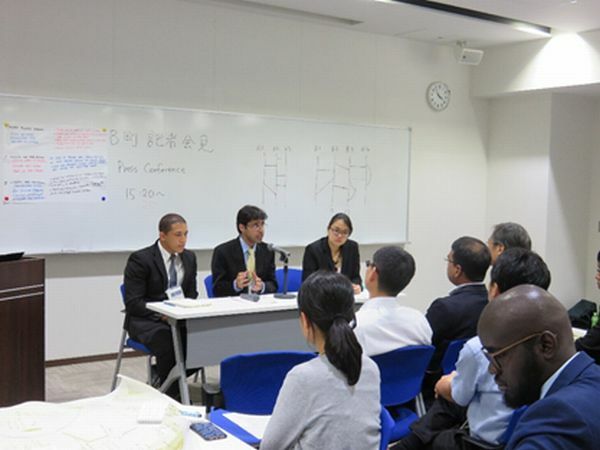 41 participants, including international students learning in Japan and foreign young engineers, were divided into 7 groups to act as mayors of the autonomous communities affected by an earthquake, and reviewed and discussed the policies to respond to the damages and goals for reconstruction. At the end, they made a presentation at a “Press Conference”. In the evening on the first day, the networking reception was held at “Restaurant Elm” in Hokkaido University to enable staff of the International Activities Center, guests from overseas, and participants of the Summer Symposium and workshop for young engineers to mingle with each other. 76 participants, including President Kobayashi, the next President Hayashi, Vice-President Sunohara, and President Ueda of the International Activities Center, enjoyed the conversation in a peaceful atmosphere. On the second day, we organized a technical tour. The participants visited the Civil Engineering Research Institute for Cold Regions, the new construction site between Yoichi Interchange and Otaru Junction of NEXCO East, and “Otaru Minato” Museum by chartered bus. Guests from overseas were particularly interested in the history and civil engineering technologies that are suitable for the intensely cold environment of Hokkaido. 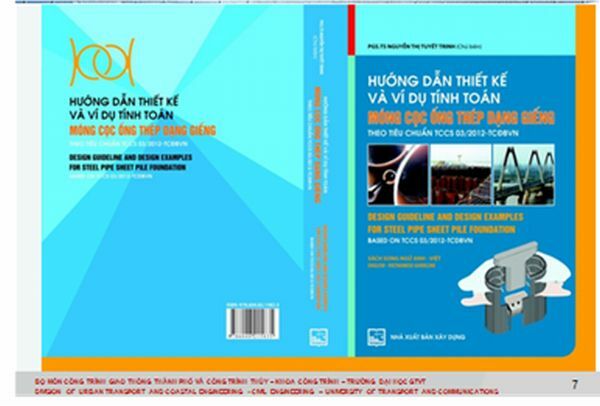 My name is Trinh from University of Transport and Communications of Vietnam. This is my honor to receive the “FY 2017 JSCE International Outstanding Collaboration Award”; I am very happy and surprised with this award. On this occasion, I would like to introduce a little about my activities in the past. 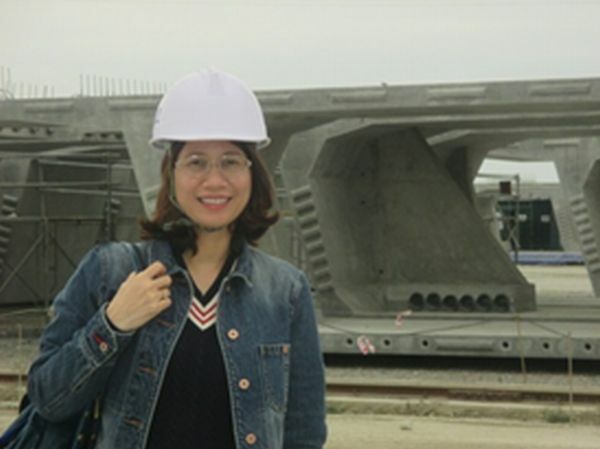 In 1995, after I graduated from University of Transport and Communications of Vietnam (UTC), I worked as a bridge engineer for Harumoto Tekko in Japan. Then in 2000, I had the opportunity to be a bridge engineer for PCI in Vietnam. I am currently working for the UTC as the Dean of International Education Faculty. 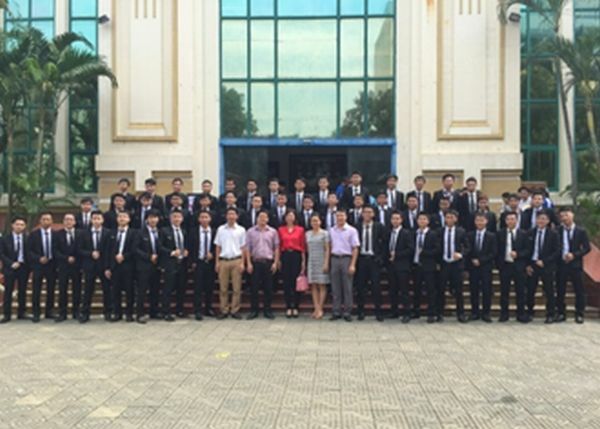 In terms of teaching in the UTC, in 2010 I established the Class of Vietnam - Japan Urban Transport Works. There were 6 graduate courses and the students have been engineers for Japanese companies. In addition, since 2009, I was assigned as a bridge specialist for the State Acceptance Council. Then since 2015, I was elected as member of the Executive Board of the Vietnam Bridges and Road Association. 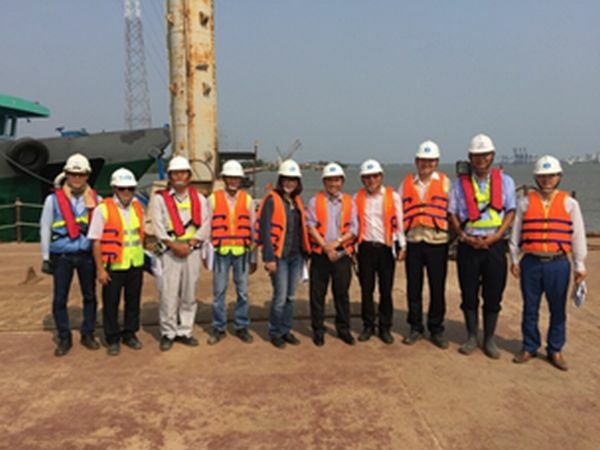 With such positions, I participated in examining and discussing technical issues in Japanese ODA projects such as Can Tho Bridge, Nhat Tan Bridge, Tan Vu – Lach Huyen Bridge, Ben Luc – Long Thanh Expressway, etc. As a researcher, my scientific research focused on 3 main directions, that are (1) New steel structures applied in transport construction works; (2) Methods enhances durability, life expectancy of the structures; (3) Seismic resistance design for structures in transport construction works. Almost research results were based on the reference of Japanese and foreign researches, taking into account the environmental and other conditions of Vietnam in order to apply the technology in Vietnam. “Design Manual of Steel Sheet Pile Structures”, published the first time in Vietnam. This time, receiving this great and honorable award, I would like to express my thanks to the Japanese companies that have supported my activities over the long term. In particular, I would like to thank the engineers of Nippon Steel & Sumitomo Metal, Shimizu Construction, Geostr, Kawakin Core-tech for their cooperation in research projects. Also, I sincerely thank my mentors for teaching me all the time since I was a student, Professor Trung of UTC, then Professor Kiyomiya of Waseda University. In the coming time, I will continue to strive to further develop the cooperation between Vietnam and Japan. I sincerely thank! My engineering career started at the Department of Civil Engineering at the University of Peradeniya, Sri Lanka in April 1991 soon after completing the BScEng(Hons) degree from the same University. I joined as an Instructor and continued as a Teaching Assistant until November 1993, when I left to pursue my postgraduate studies in Japan. My research career in Japan began when I was introduced to Prof. Hiroshi Mutsuyoshi of Saitama University in December 1993. I joined the Graduate School of Science and Engineering of Saitama University in April 1994 to pursue the Masters of Engineering degree and continued further with the Doctor of Engineering degree until March 1999. The Department of Civil and Environmental Engineering at Saitama University offered a special graduate program in English for international students. My postgraduate research theme was on the flexural behaviour of prestressed concrete (PC) bridges with external tendons. The Structural Materials Laboratory within the Department has been a pioneer on research related to external prestressing in Japan. My Masters research was an industry collaborative project supported by Kajima Corporation, one of the biggest construction companies in Japan. Started with substantial experimental investigations in the first two years, these investigations continued to my doctoral research. During the final year of doctoral study, a new research project commenced on the development of innovative continuous PC bridge with highly external eccentric tendons. 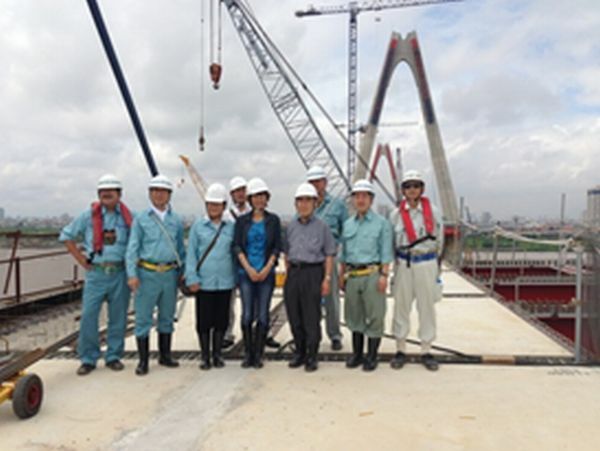 It started in April 1998, in collaboration DPS Bridge Works and Mitsui Construction. I was able to observe and learn many useful things including large scale structural testing, prestressing techniques and data measurement and analysis. I was also exposed to a completely new language, culture and environment that was different from that in Sri Lanka. Learning the Japanese language was important in our day-to-day living as well as conducting research involving industry. I took this as a challenge by targeting the Japanese Proficiency Exam each year and was also able to master the language during my postgraduate studies. This helped to overcome several communication barriers and resulting in excellent teamwork. Our research findings have been published in many local and international conferences and journals. The Japan Concrete Institute (JCI) honoured me with the “Excellent Presentation Award” twice in 1996 and 1998, for my papers presented in English and Japanese respectively. Despite heavy research activities I also qualified the Fundamentals of Engineering Exam conducted by the National Council of Examines for Engineering and Surveying, USA in November 1998. My research career at Saitama University has been the most challenging and fruitful where I was able to enhance my technical knowledge while learning other cultural and language aspects of Japan! I joined DPS Bridge Works as a Senior Research Engineer in April 1999, based on the ongoing collaboration developed during my doctoral research. I was attached to the Research and Development Centre based within the head office in Tokyo. My work involved research and development programs including (a) innovative bridge using highly eccentric external tendons and (b) application of high-performance lightweight aggregates (HLA) in PC structures. While continuing research collaboration with Saitama University and Mitsui Corporation, it also provided me opportunities to work with Taiheiyo Cement Corporation and Tokyo Institute of Technology. During this period, I was able to visit several bridge construction sites including the innovative pedestrian bridge with highly eccentric external tendons across the Torisaki River in Morimachi, Hokkaido that won the research and development award by Japan Prestressed Concrete Association in 2002! I found that the working environment is much different from my previous careers in the universities. This also gave me insight into the research carried out in Japanese industry. Further, my Japanese language ability proved to be worthwhile in communication with our team, as well as with external clients and consultants. This career episode has been was one of the important chapters in my engineering profession. My career took a turn when I was offered an academic position in Australia. I joined the University of Southern Queensland (USQ) as a Lecturer in Structural Engineering in April 2002. From external prestressing, my research direction turned into composite materials and structures. Currently I am a Professor of Structural Engineering affiliated with the Centre for Future Materials (CFM) at USQ. Over the years, I have played a key role in the R&D of fibre composites in civil infrastructure, taking a leading role with several industry collaboration. In addition, I have taken senior management duties within CFM and the Faculty in my various roles as Head of Department, Centre Director and Associate Dean (Research). Though I left Japan in 2002, the collaboration with Japan has been continuing over the years. I was fortunate to be awarded the Japan Society for Promotion of Science (JSPS) Invited Research Fellowship (Long-term) for 6 months in 2006 to conduct research with Prof. Mutsuyoshi at Saitama University. I was engaged in the collaborative research project on the “Development of Hybrid Bridge Girders Using Advanced Composite Materials”, funded by the Ministry of Land, Infrastructure and Transport including Tokyo Metropolitan University, Nagoka Institute of Technology and Toray Corporation. In 2008, we were successful in organising a 2-Day international workshop on Fibre Composites in Civil infrastructure at USQ. This was co-funded by Australian Academy of Technological Sciences and Engineering (ATSE) & Australia Japan Foundation where delegates from Japan visited Australia and Prof. Mutsuyoshi delivered a keynote address. Later this was continued as a Road show in Japan in 2009. Moreover, I was invited to deliver a keynote lecture at the Third Asia-Pacific Conference on FRP in Structures (APFIS2012) Conference held in Sapporo to speak on “R&D of fibre composites in civil infrastructure – The Australian experience”. These are memories to cherish from Japan! 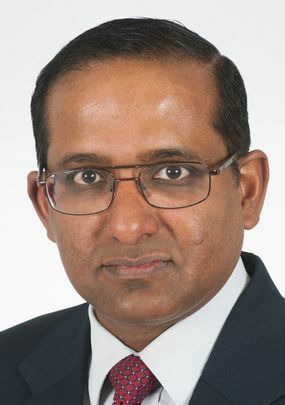 Profile: Born in Sri Lanka in 1965. After obtaining a doctorate in Saitama University in 1999, he became employed as a senior researcher at Dopey Construction Industry Co., Ltd. In 2002 he worked at the Australian USQ university and became vice dean of the Faculty of Health, Technology and Science from 2013. Alumni of DOBOKU Series is in collaboration with Editorial Committee of JSCE Magazine. 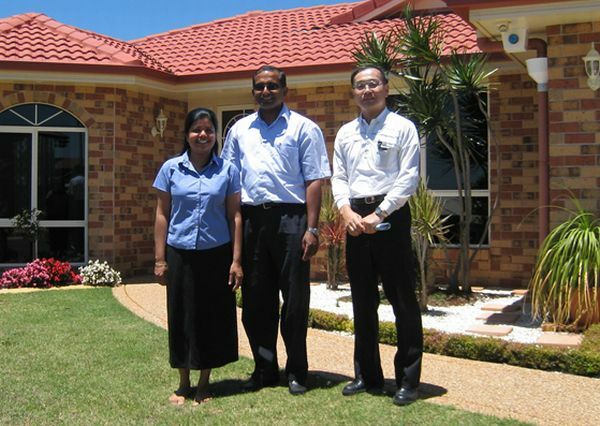 Prof. Aravinthan was the best student in Japanese language among more than 40 foreign students I supervised. He entered Saitama Univ. as a master course student from Sri Lanka in 1994 and completed his PhD degree in 1999 for research on PC bridges with highly external eccentric tendons. After that, he was fortunate to work at DPS Bridge Works and engaged in construction site where a PC bridge with highly eccentric external tendons was built in Hokkaido. Since working for a university in Australia, he is actively engaged in research on FRP based composite materials. Associate Professor Allan Manalo who is currently doing research with him in the same University was also my former student. 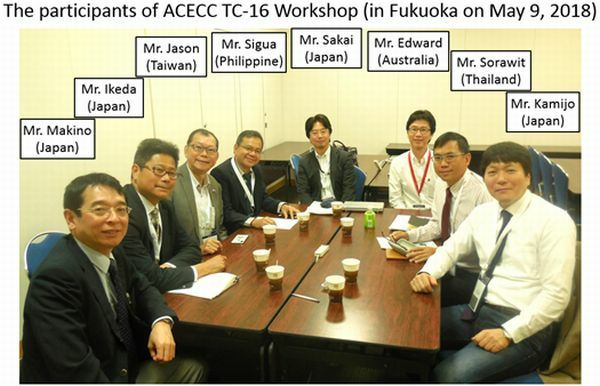 TC-16 continuously organizes annual workshop by the committee members from different countries, in conjunction with some international academic conferences and symposiums. 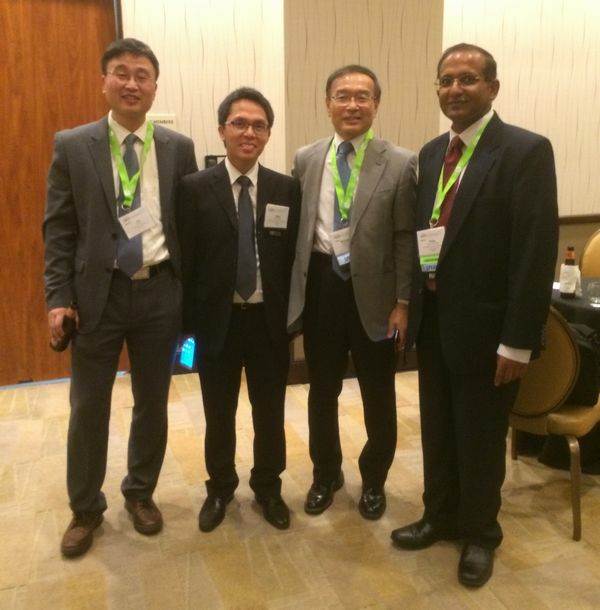 In this year, the workshop was held in Fukuoka, Japan, on 9th, May, in conjunction with the Intelligent Transport Systems Asia-Pacific (ITSAP) Forum. In this workshop, the results of the survey on the use cases of the ITS in several countries were reported. For example, that includes the integration of traffic information centering on the Grab company considered in the Philippines, the utilization of the big data collected by All Thai Taxi started in Thailand, and the operation of a transportation system integrated with FINTECH by the GMS company in Japan. Furthermore, as important points for future consideration, discussions were carried out about the mobility oriented approach, open platform including the API, efficient use of infrastructure including new travel mode using ICT, traffic demand management for improving the performance of the city as a whole, etc. 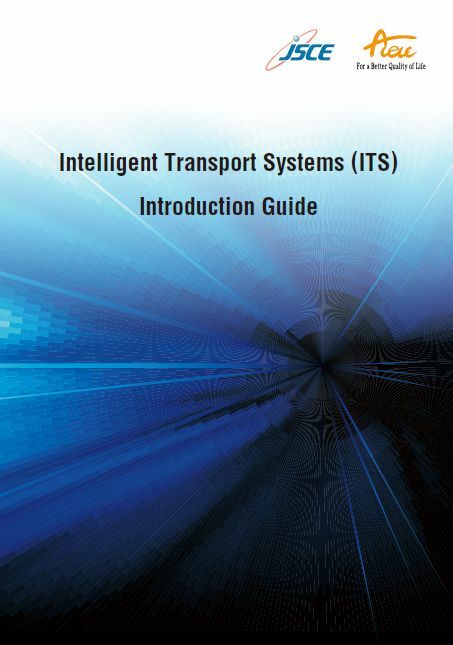 ACECC TC-16 will continue the research on advanced efforts and use cases of the ITS, including MaaS (Mobility as a Service), in various countries around the world, and update the “ITS Introduction Guide”, in order to contribute to solving urban traffic problems in Asian countries. 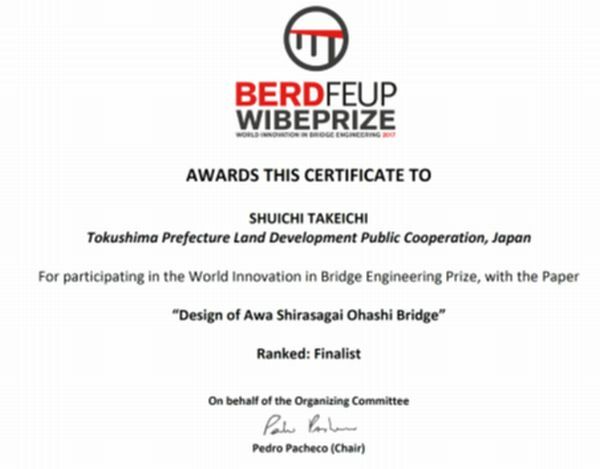 The authors entered the inaugural World Innovation in Bridge Engineering (WIBE) paper competition recently, and this short article summarizes the outline of the competition. This competition was organized by BERD, Portuguese specialized bridge contractor, and the faculty of engineering at University of Porto. Entrants were required to write 10-page long technical paper on innovation developed by them. Innovation presented by entrants could be associated with many different aspects of bridge engineering, such as conceptual design, research work and constriction technology. The panel of judges comprised international authorities in the field. Please refer to the web-link given in  for further details. 1) Adopting a unique form of cable truss structure, named cable egret, allowed the bridge to comply with an extremely tight environment constraint within a limited budget. 2) A new form of permanent tubular steel cofferdam foundation, which was a Japanese–originated foundation system, was developed particularly for the project. 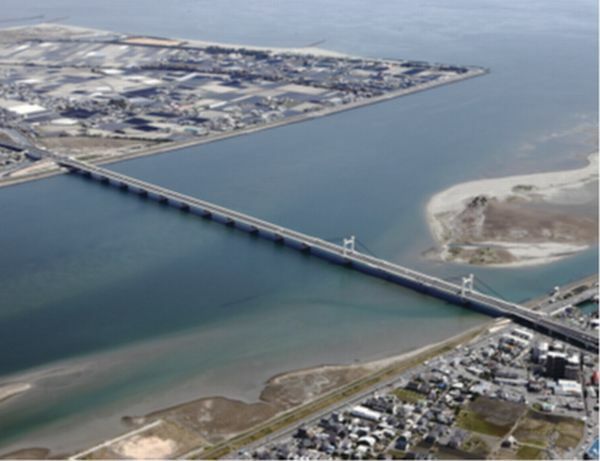 This new foundation form enabled the bridge both seismic-resistant and cost-effective. 3) The use of sandwich slabs, which was also Japanese-originated technology, allowed the contractor to adopt a construction technique which minimised an impact on the environment. Although we were shortlisted for the prize, our paper were only ranked fifth in the final (Fig.1). However, we do believe this result has demonstrated that Japanese bridge engineering still maintain high standards. The prize was won by an international team comprising the University of Queensland, Rocket C (based in Brisbane), Hong Kong Polytechnic University and Arup. According to their web sites, they presented research work on a double skin composite arch bridge comprising steel inner tubular members which are encapsulated by FRP tubes. The annuals between the two members are filled with concrete. According to their web site, it seems that this system allows a significant reduction in the lifting weight for erection, which in turn enables a rapid construction. A full details should be available when the organization committee publish their paper. Evidently, we were the only team which presented Japanese–originated. Following the success of the inaugural WIBE competition, the committee decided to organize the succeeding competition, WIBE 2020 in 2020. Since there are quite a few technologies unique to Japan, we expect to see many entrants from Japan for the next competition, which should internationally demonstrate the excellence of Japanese engineering, and may lead to the export of Japanese infrastructure technologies into overseas countries.